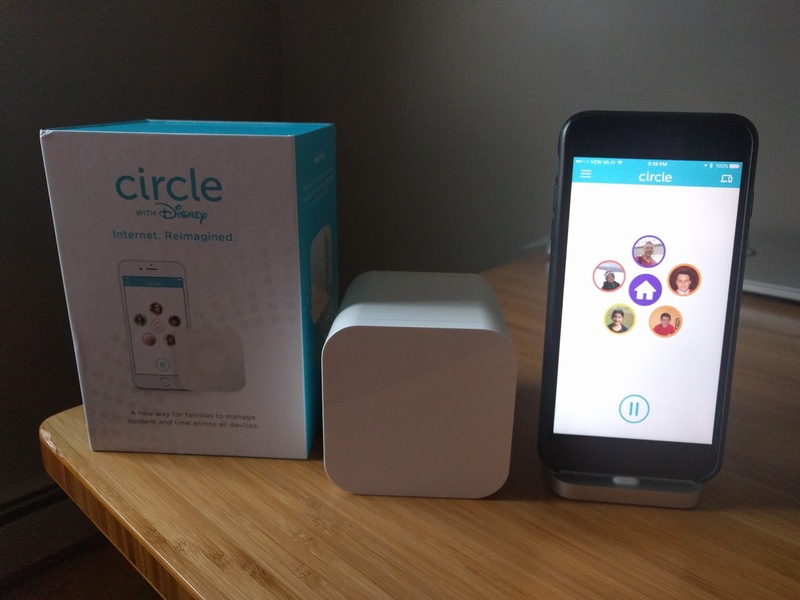 Circle with Disney parental controls and Internet filtering receives my enthusiastic thumbs up after one week of use at my home with two adults and three kids. Previous solutions we tried (OurPact, taking devices away, scolding, etc.) had mixed success. My kids would play on their mobile devices and game consoles all day long if I let them. 1. The ability to set time usage limits for each child and their associated devices (e.g. 2 hours per day), bedtime “Internet off”, content and app filters. 2. Easy for BOTH me and my wife to use, support for multiple devices (iOS, Android, Mac, PC, Xbox, Playstation, etc) with no requirement to install software on each device. 3. Finally, I preferred “one time purchases” rather an a monthly subscription fee. I’m cheap and prefer to keep costs low. I looked at a variety of hardware and software solutions, including purchasing a new wi-fi router (e.g. Synology RT2600ac) but ultimately I decided on Circle with Disney for $99 on Amazon ($90.37 after $8.63 off sale). Out of the box, Circle manages Internet access via wi-fi and not cellular. However, for an addition $9.99 monthly subscription (in-app purchase), you can manage cellular access as well. Thankfully, cellular access in our neighborhood is poor and discourages the kids from using it. Circle also won’t limit access to downloaded content. For example, if my kids downloaded a video or music, Circle wouldn’t limit usage. While Circle isn’t perfect, it has helped me gain control over my kids Internet usage and I recommend it. The ability to manage all devices including smartphones, tablets, PC’s Xbox and Playstation. It was hard to identify some devices and not all devices immediately displayed in Circle. Switching my devices to the 2.4Ghz wi-fit network did the trick. I sometimes needed to resort to looking at MAC address. However, this is a one-time process for each device. $9.99 a month subscription to manage cellular usage (wi-fi management is free). AT&T charges the same $9.99 monthly fee for 10 devices.